Cuba is a fascinating place. 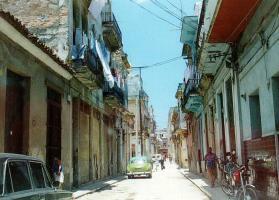 Visit La Habana Vieja and you'll see crumbling remains of the colonial era. People live and work in these once imposing buildings, darkened caves, some without windows or doors. Their former grandeur is apparent. You will occasionally see a renovated example of this fantastical architecture; these structures were renovated using gifts from Canada and Europe. Tourism is welcomed for the hard currency it brings to the country. The US dollar is the de facto currency of Cuba, much to the embarrassment of the government. An American cannot use credit cards drawn on a US bank, nor can we travel from the US to Cuba directly without a special visa. This means we must carry hundreds of dollars in cash with us. Locals are forbidden to approach tourists, even though the converse is permitted. After spending 5 days in La Habana Vieja, I won't pretend to be an expert on the temperment of Cubans, but I did get a feel for their disposition toward us Americans. They tolerate us and despise us in the same breath. 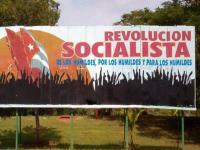 Cubans see us as depriving them of participating in the world community. They also see us as depriving them access to modern medicine, thus depriving their children access to simple life-saving remedies we take for granted, 80 miles away. We refuse to allow commerce between Cuba and the USA, WHY? We've normalized relations with Russia, the heart of the Soviet Union, an empire that dissolved Christmas 1991. 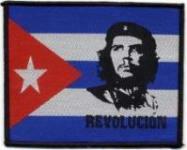 Why do we continue persecuting Cuba? Because it's small? It's nearby? Or because it's worth 40,000 votes in Florida!! You could justify this treatment of Cuba during the cold war, but why now? I say it's because we can get away with it, and because the issue is too small for the average American to care about. I saw thousands of Cubans whose life would be immeasurably improved if we opened our markets to them; and I saw this all in the span of five days. The good will earned by this amongst the average Cuban would count for a lot when Fidel does finally expire. But will their lives really be improved? It's the only third world country without shanty-town slums. There are no children begging. Admittedly, Cuba is a scary place for a freedom loving guy like me. The day we arrived we were screened by three units of security personnel; each layer of security wore a different uniform. It's all part of the checks and balances of a totalitarian regime. Even though the locals cannot legally speak to you, they are economically desperate enough to walk by you and whisper their pitch to you, at the rate of about once every 20 seconds. It's amazing, you sit down and nobody speaks to you (you and they are being watched!). When you walk, they walk by you nonchalantly to try and sell you something (or plead for money). The morning after we arrived, at breakfast, we watched on television in the hotel restaurant, Fidel Castro giving his annual anti-American president speech. The waiter in the rooftop restaurant turned the volume up to double the comfortable listening level, for our benefit I am sure. He was trying to communicate to us through Castro, the very effective orator. Cubans hear the constant message from their government that America is evil, that we're depriving them participation in the world scene. We continue the bully act because Cuba is powerless and we won't change the 'status quo.' This being said, they know that America is where it's at, explaining the LOVE-HATE feelings they have toward us. Outside 'La Habana Vieja', there are 13 additional political districts. Many Canadians and Europeans opt for these 'other' districts. In the outlying beach areas, the stark reality of "El Cubano Olvidado" just isn't witnessed. 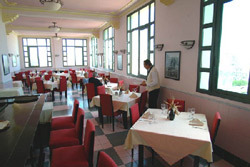 We did a lot of walking, it was summertime and the heat was so oppressive that we welcomed the 'rare for Cuba' air-conditioning comfort of our hotel. As I mentioned, we couldn't use credit cards. I had paid for the hotel ahead of time, breakfast was included in the hotel, so all we had to worry about were lunch and dinner. Still, with $500 in my pocket, I was worried that I didn't have enough cash to get through the 5 days. So why did we go to Cuba anyway? My wife had just graduated from university with a degree in English Literature, and she was drawn to the writing of the legend Ernest Hemingway and his utopian attachment to Cuba. 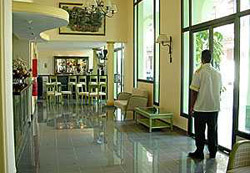 Lobby of the Park View Hotel on the left, and the restaurant on the top floor (great view). 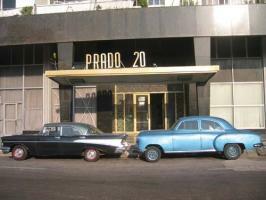 This is where we stayed, right in the heart of La Habana Vieja. A side street in La Habana Vieja on the left. 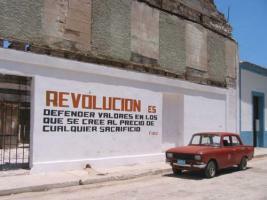 "Revolution is defending the values that one believes is worth any sacrifice". 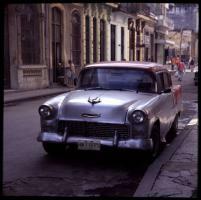 The wonderful old cars of Cuba.